LOS ANGELES — "Mr. Robot" is now a video game. A fake messaging app inspired by the USA Network hacker drama was released Wednesday for mobile devices. "Mr. Robot:1.51exfiltratiOn" casts players as a stranger who finds a mysterious smartphone and begins communicating with the show's characters through an app published by the fictional E-Corp. The game was developed by "Oxenfree" creators Night School Studio and published by Telltale Games . The app's developers worked on "1.51exfiltratiOn" with "Mr. Robot" creator Sam Esmail and show writer Kor Adana. "Working hand in hand with Sam, series writer Kor Adana and Universal Cable Productions, we've created an opportunity for players to meaningfully interact with characters like Elliot, Darlene and Cisco, truly feeling like they're joining the hack at a critical moment in the TV series," said Night School Studio co-founder Sean Krankel. "As fans, it's nothing short of a dream come true for us." The developers say the game takes place over the course of a week. 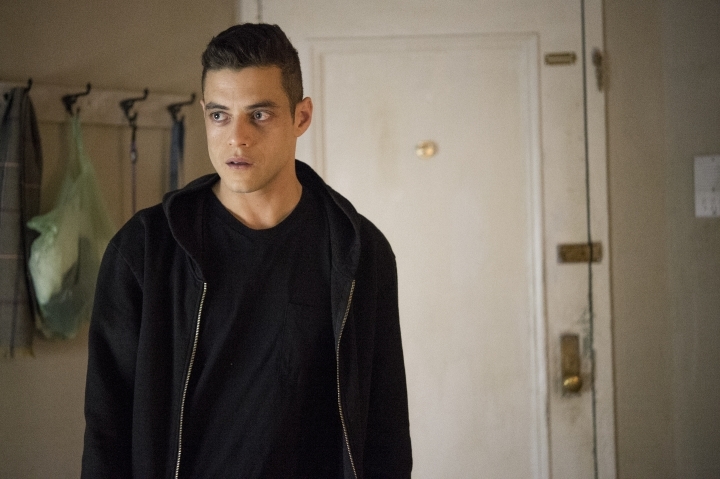 The popular moody hacker series stars Rami Malek as anti-social computer programmer Elliot Alderson and Christian Slater as the cryptic Mr. Robot. The show is currently in its second season.